Munnar Tea Garden leaves photo | Shravani Arts: Leena Thakar Bagawde - Illustrator, Collage Artist and Photographer from New Jersey, USA. This is my blog with collection of art, illustrations, design ideas, paintings and 3D work. – ‘Mahindra Homestay’s’ blog post: Munnar Things To Do: 9 Ways It Will Capture Your Heart. Cooking is an art too! 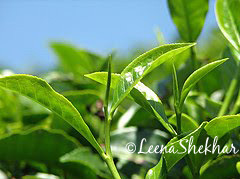 All images are ©LeenaShekhar. To copy, download or distribute any images in any form is illegal without written permission. Thank you. © Copyright Shravani Arts: Leena Thakar Bagawde – Illustrator, Collage Artist and Photographer from New Jersey, USA. This is my blog with collection of art, illustrations, design ideas, paintings and 3D work.